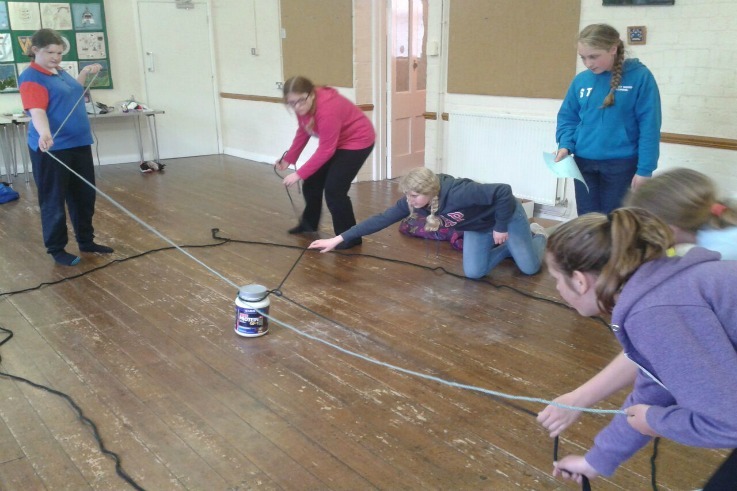 This weekend saw the first of our division teams take part in team building challenges in order to build up their lead in the Shropshire GALA competition for guides. Divisions across the county have been invited to enter a team of six guides who will take part in team activities to gain points towards the competition. The girls stayed at Lyneal and spent part of the weekend building dens at Colemere.